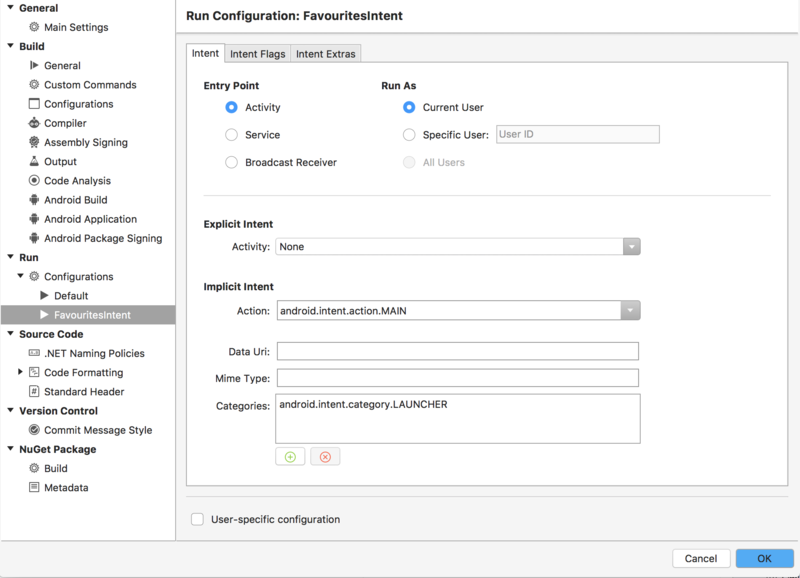 The local notification contains the intent that specifies the MainActivity, and also Bundle of extra data that is processed within MainActivity. I need to create an Run Configuration. I am unsure whether the Implicit Intent settings are correct either. I have been able to configure the Intent Extras tab without any problems. Some idea on how to get this setup would be great.